I hope you don't mind me emailing you direct. But K and I just want to say a very big thank you for everything you did for our son M, back in early February. You and your amazing team transferred him from Stepping Hill Hospital, Stockport to the RMCH. He had Steven Johnson Syndrome/TEN. M has now made a full recovery. He's got no scares from the blisters. Only from the skin biopsy and the line in his groin. He was allowed to return to school the two weeks before the Easter holidays and has just gone back after the holidays. He's so happy to be back. He's been signed off from most consultants now and is waiting for a referral to CAMS at Stepping Hill. Thank you for being so honest with us. The things you said to us on that Saturday have stayed with us and made us understand that everything we are now going through and feeling is normal. I will bring him to see you one day.m, as I promised. I will be guided by you when's a good time to see you is. It will probably have to be a weekend or in the school summer holidays. Keep up the amazing work you do and thank the rest of your team for all the support you gave us at the time. And finally a quote from M. "If I ever meet this Steven Johnson man, I will be giving him a piece of my mind. He's not very nice!" I'm not sure of you will remember me but I am the mother of a child you transferred from Manchester Children's hospital to Derian house in October 2014. . I just wanted to get in touch with you to tell you how much we appreciate the care you gave to us all as a family. You made the most difficult time of our lives and the most difficult journey that little bit easier. We were amazed at how professional supportive and caring your team where and how much you made us feel at ease knowing what we was about to face when we arrived at Derian. The support we received from you personally was amazing and the care you gave our child was better than we could have imagined. The amazing care that he received in his final months of his short life inspired me to do my paediatric nurse training, I am now a 2nd year student with just 12 months to go until I qualify. I hope that when I begin my career I can offer the same care and support that you did to us and make a difference in H's memory. I hope this message reaches you. Thank you again from the bottom of our hearts. What a fantastic team of people you have, the dedication and determination that I witnessed on the evening in August during the transfer of my son from Wigan to RMCH. He had been visiting his Twin brother in HDU at Wigan with his Dad and older brother, when he suddenly stopped breathing at the lift. Fortunately being in the right place at the right time, my Husband raced straight to the Children's A&E Department. Everything from there was really fast paced and the team at Wigan were fantastic. They sought advice from Chetan and his team on the night. When the NWTS team arrived, they took straight over and made sure the transfer went as smoothly as possible. I felt at ease that my Son was in safe and caring hands. Please can you pass on my heartfelt gratitude and please let them know they all do a fantastic job. "The NWTS Team took care of and transported our son ... and we just wanted to thank them for the fantastic work they did. Throughout the whole process there was an air of professional calm that helped us immensely to deal with what was happening." "I would like you to pass on a massive thank you to the NWTS Team who saved my son's life ... at Hospital before transferring him to PICU at RMCH. He was a critically ill 3 week old suffering from severe Bronchiolitis. He was flat on arrival. The NWTS Team were extremely professional and lovely with us both and really put me at ease, explaining everything that they were doing to him. They saved my sons life alongside the Resus Team from UHSM. Without both teams I wouldn't have my son, and I am eternally grateful to them all. NHS staff don't get enough recognition for the hard work that they do..."
They transferred Logan to Liverpool and we couldn't be more thankful. We got discharged, but 9 days later the same thing happened and we were in the same situation, but a lot more serious! This time we were miles away from home and were very scared our little man wouldn't make it this time. The NWTS team were called and Kate took the job as she had dealt with Logan before. That gave us comfort and it was just a matter of waiting while she got to us in Glan Clwyd - and she got there very fast!! 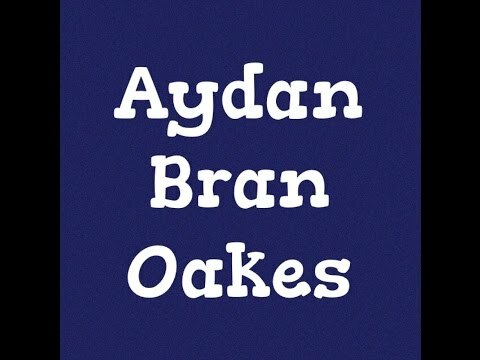 This is a video that Aydan's mother has shared with us and given us permission to use on the NWTS website. Thank you for sharing the video.